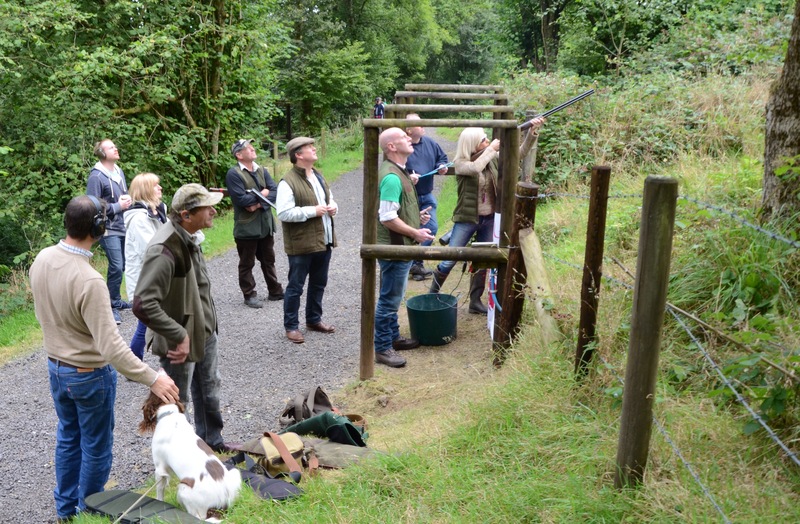 Is a small clay shooting club located near the highest point of the Mendip Hills. The club is run by its members, for their own enjoyment, on a non-profit making basis. New members and guests are always welcome – subject to compliance with the clubs rules and the legal obligations by which we are bound. We encourage members from younger generations to join in and are happy to help provide advice and support on how to enjoy clay pigeon shooting safely – after all the future of our sport depends upon bringing new blood into it. Our club house is basic but dry with a toilet and there’s coffee, tea and biscuits to be had . We typically shoot 50 birds Sporting but vary this with Flushes, Pro Sport and some variations which do not fit into any particular category. The ground covers a mixture of field, woodland and low moorland, with the result that the stands are challenging and varied, with scenery that changes with the seasons shooting in bluebells in the spring or a hard frost mid-winter really adds to an already enjoyable morning. Normally Shoots take place every other Sunday starting at 10.00 sign in at 09:45 with last entries at 10.15am, fibre wad only (strictly no plastic wad).